"Whether you use advanced creative thinking procedures in team meetings, in permanent creativity teams, or when you work alone, you will achieve higher quality solutions to important problems. These procedures work even better in a Creativity Meeting." Vern Burkhardt (VB): How did you move from being skeptical to being convinced that people could learn to be more creative, albeit, as you say, talent and ability will ultimately determine how creative they can be? Dr. Edward (Ed) Glassman: I experienced it myself in workshops I attended while I was a Visiting Fellow at the Center For Creative Leadership. And I observed it in other people during workshops I attended at the Center and in workshops I eventually presented myself. The application of advanced creativity techniques makes a great deal of difference to creative ability. VB: You were a Professor of the University of North Carolina from 1960 to 1989, have conducted creativity training sessions for leaders and teams for over 10 years, and are a well-known author about creativity. What have been your largest contributions to furthering the ability of people to be creative? Edward Glassman: I think leading 3 to 4 day Creativity and Innovation meetings during which people are motivated to learn to use advanced creativity techniques to solve an important company problem. People leave these meeting determined to apply the techniques to other on-the-job problems, and to teach them to other people on their teams. And I hope my books, articles, and newspaper columns have been a contribution as well. VB: Does Team Creativity At Work – I summarize all you've learned about creativity through your research and consulting work? Edward Glassman: Actually, yes and no. I am still learning and wanted to add ideas and concepts to the book, but I realized that it already contained a great deal of what I know, and therefore I am content with it. VB: I gather that 'triggers,' which are the essence of some of the highest levels of idea generating procedures, are intended to "trick your mind." Why do we have to trick our minds and how does this work? Edward Glassman: Being truly creative depends on being non-evaluative in the early stages. But we are so geared to 'evaluate' and stay stuck to 'old ideas' that being non-evaluative is hard to achieve. Indeed, I suspect that even the best of us is not entirely non-evaluative. So we need to trick our minds with triggers. Also, we tend to think in ruts that funnel our thoughts in already set patterns and directions. For example, almost everyone in my workshops says his or her favorite color is red or blue. These are creative people, yet they are stuck with these two cultural colors. The same applies to fruit – apple or pear – and other cultural mind funnels. My favorite color is orange and I frequently find I unawarely choose orange colored items when shopping. Color my mind funnel orange. To break out of these mind funnels, we need to trick our minds with triggers. The more bizarre the trigger, the more likely there will be a high-level, high-quality, unorthodox, and unexpected creative outcome. I discuss this at length in my book. VB: One of the 31 'habits' that spoil creative thinking, which you describe in Team Creativity At Work – I is, "We don't deliberately misperceive the world to obtain a nonlinear viewpoint and a paradigm shift." Would you talk about this? Edward Glassman: A non-linear viewpoint sees the world with a bizarre twist, jumps around with abandon, and includes unusual and unorthodox ideas – ideas that people do not expect. These ideas can trigger other creatively workable ideas only if allowed to do so. There are no useless ideas, because all ideas can trigger a better unexpected idea. The issue here is whether people will allow such unorthodox ideas to survive, even flourish, in the early stages of idea-generation. Being non-evaluative is absolutely essential. VB: Another 'habit' you identify is, "We allow our thoughts to get stuck in an old established mind funnel, and we stay stuck in ruts and old paradigms." What is a mind funnel, and how does it spoil creative thinking? Edward Glassman: As I said earlier, mind funnels are ruts in our thinking; they're old paradigms that keep us stuck with old ideas and old ways of doing things. They spoil creative thinking because they keep us glued to the past. We all do this, and they are not a bad thing unless we want creative outcomes. Actually, the concept of mind funnels, a favorite construct of mine, is an example of one of my mind funnels. To get rid of mind funnels we have to shift paradigms, think outside the box, and use advanced creativity techniques. I discuss this process in depth in my book. VB: Are there any habits, in addition to the 31, that you were not able to include in your book because of space or other considerations? Edward Glassman: Probably many. One habit is not making sure that I have enough space to list everything. This cuts down on creative listing. VB: You say that while theory helps, learning advanced creative thinking procedures helps even more. Would you explain why structure helps creative thinking to flourish? Edward Glassman: Creativity is very fragile in most of us, maybe all of us. We have to protect it. In teams, we need to be especially non-evaluative as people bump into each other's ideas without being aware of doing so. Structure helps by providing rules and guidelines to minimize idea destruction. And remember, all ideas can be useful triggers. Also, we need structures, like the steps in the creative problem solving process, to provide a safe environment to allow everyone's creative efforts to become manifested. Often, structure makes all the difference. VB: Do most people find it hard to learn and use your advanced creative thinking procedures? Edward Glassman: No. Once they catch on to being non-evaluative, and they do this in a 30 minute exercise, the rest flows. Having my book helps. After they experience a procedure, they carry it out with fun and gusto. Sometimes the most advanced procedures create problems because they take so much time. I use them only with an experienced creativity team. VB: What is a creative thinking meeting, and what led you to develop this approach? Edward Glassman: A Creativity – and Innovation – Meeting is a 3 to 4 day meeting, sometimes even 5 days, that combines 'teaching' creativity skills with 'solving' an important company problem. Two days is not enough time for incubation to take place and, as a result, I notice a decrease in the creativity, the unexpectedness, and the novelty of the ideas in a 2 day meeting. I visit the company before the meeting to work out its goals and other details of the meeting itself. About 25 to 35 diverse people from all over the corporation attend. The important nature of the problem motivates people to learn and apply creativity techniques so they can solve it. In my book, I describe six such meetings and how I plan these meeting. All differ from each other in significant detail. VB: You say laughter is "a wonderful way to start the day's interactions" when you are conducting creative thinking meetings. Why? Edward Glassman: It is important that everyone starts the day energized, so first thing in the morning I ask each person to share a joke with the members of his or her creativity team. If time permits, I then ask each team to choose one joke to share with all of us. Or I cut out cartoons from the New Yorker magazine without the caption, hand them out in the evening, and ask each person to write a caption overnight to share first thing the next morning. The result is invigorating laughter, a great way to start a morning session. Laughter seems to shake the cobwebs out and creativity soars as the team gets warmed up. VB: Are one or two of the idea generating procedures you describe in your book your favorites for generating the most creative ideas? Edward Glassman: All the procedures in my book are my favorites. Otherwise they wouldn't be included. However, during the workshop, I particularly enjoy the bizarre ideas game because the participant's first realize how a bizarre idea can help trigger better, workable, and unorthodox ideas. Even an enigmatic unevenly folded blank sheet of paper can trigger a burst of creativity in a warmed up team. VB: Do you have any tips for deciding which idea generating procedures to use in a creativity meeting? Edward Glassman: In my book, I specify the sequence of idea generating procedures that I use in my workshops and Creativity – and Innovation – Meetings. This sequence works; it solves problems and teaches techniques that produces a gradual increase in creative, unexpected and unorthodox outcomes. I don't vary this sequence very much, because it works so well. My goal is a creative outcome that no one thought of before the meeting started. Indeed, I hope that the solutions finally accepted weren't even thought of until the 3rd or 4th session of the meeting. It takes that long to clear the mind of old thinking and allows unorthodox ideas that people never thought of before. I like to start with brainstorming, because it is a simple, primitive technique that allows people to list the pet ideas they brought into the meeting, so they can move on to more creative ideas using advanced creativity techniques. VB: "We often spend time solving the wrong problem, so the problem appears repeatedly, never effectively identified and resolved." In your experience is it difficult to convince people they need to take the time to define problems innovatively in order to avoid solving the wrong problems? Edward Glassman: Sometimes. But once they experience a structured sequence to define a problem and shift paradigms, people do not need convincing. Defining the problem is the first creative step in solving problems creatively, and it requires a strict adherence to the brainstorming rules of total non-evaluation. Sometimes the degree of success of the entire creativity meeting depends on a slow effort to produce a creative definition of the right problem. Bizarre problem definitions are useful triggers to unexpected and unorthodox useful definitions. I describe creative ways to define the problem and shift paradigms in my book. VB: Is one of the key lessons we should learn about creativity that the more ideas we generate the more likely we are to end up with a highly creative solution? Edward Glassman: Absolutely. In my Creativity – and Innovation – Meetings, the teams would achieve a combined total of about 150 problem definitions before combining and selecting several to work on. They generate about 900 ideas. These are combined by each person working alone into one trigger proposal and one workable proposal. Each creativity team then combines workable proposals and generates one blockbuster proposal. Sometimes teams combine proposals with each other. As part of their action plans, participants share all proposals with interested managers and executives in the company. I am always startled by how different each team's output is from the other teams. Often there is no overlap, so if any team did not exist in a meeting, we would lose that team's unique output. This convinces me that many teams need to be assembled to solve an important company problem rather than only using a single committee. VB: In your book you recount a lot of success stories from your creative thinking workshops. Do one or two particularly stand out in your mind, and why? Edward Glassman: All of them stand out. Each was unexpected and therefore tickles my mind. Still, the 'Low Conformer' who built a wall to hide his development of a machine from his boss, the president of the company, who told him not to do it, is the most startling. His effort produced a famous product that noticeably affected his corporation's bottom line. In addition, I liked the Creativity – and Innovation – Meeting that the organizer said produced 15-20 patentable ideas. Wow! And the vice president who said he discovered new paradigms and new definitions for a problem he had been working on for two years. That was unexpected. VB: What advice do you have for leaders who think they don't have time to promote creativity in their work teams because of the pressures they are under? Edward Glassman: I sympathize greatly. Haven't we all faced a lack of time, especially incubation time, to the detriment of our creative urges? We all need chunks of quiet downtime to put our feet up and think, and days of relative quiet for the mind to incubate and churn. At least we need to find some circumstances that help our creativity flourish. Leaders need to attend interactive creativity workshops to find out for themselves the value of creativity meetings or workshops to their organization, and how much time to allot to creativity and innovation. VB: Is promoting creativity in an organization the essence of leadership? Edward Glassman: Promoting creativity in most, if not all organizations, is necessary for success as a leader. Leaders who attend creativity workshops can become the essence of leadership success. VB: Which of the four leadership styles you identify in your book do you use when leading creativity training sessions: directive, participative, catalytic, or non-directive? Edward Glassman: I use all of them. I cycle styles based on the ability of the teams to do the tasks and whether I think they are reliable. I start out using the directive style, since they are relatively untrained and do not know what do or how to proceed. When trained, I then move to the participative style. I coach and give each team leeway to do some things by themselves and negotiate when we disagree. Eventually, the teams learn the approaches, are capable of carrying them out, and I have confidence in their ability, so I retreat to the catalytic style. I encourage, facilitate, and act in a non-evaluative manner. Finally, when they are well versed in creativity techniques and approaches, and know what to do; I move to the non-directive style and let them work without my interference. Sometimes I leave the room so they can move on without me. In my book, I discuss these leadership styles and when to cycle them. VB: Does it surprise you that some people in a work setting seem to prefer to be negative rather than be motivated to become creative and engaged? Edward Glassman: I am not surprised when untrained people behave negatively, though I am concerned. All of us need training to become motivated to become creative and engaged. Some people learned it when they were children, some in school, and some at work. All of us do better when we are systematically trained to become creative and engaged in courses and workshops. VB: I gather you have met a considerable number of employees in your creativity training sessions who have become "weekend creatives" because they are not encouraged to be creative at work? In your experience would most of them prefer it to be otherwise? Edward Glassman: Weekend creatives exist because they have a lot of creative energy that is not captured by their job description and by their superiors. They probably are encouraged to be creative at work, but their jobs do not allow full expression in a challenging way. They lack daily enjoyment. Rewards at work are often skewed. Leaders often forget that creativity is its own reward. Creative effort is spoiled by external rewards, such as focusing on raises and promotions that take attention away from, and replace, internal rewards, such as the daily enjoyment of self-directed and self-chosen tasks. Internal rewards are fragile and easily replaced. In my book, I discuss motivating and rewarding for creativity and creative effort at length. VB: "With creative thinking, what you do counts, not what you know." How does making action plans promote creativity? Edward Glassman: If a person knows all the creativity techniques in my book, and intends to use them in his or her life and work, but doesn't, then what good are the techniques to that person? Action plans turn intention into concrete planning, not wishful thinking. An action plan lists in writing who does what, how, where, when, and why. A person has a higher probability of carrying out a plan that is public; it is written with others, or shared with them later. Write action plans to be more creative at work with your team and when working alone. Write action plans to attend or arrange Creativity – and Innovation – Meetings to solve an important work problem. Write action plans to bring in consultants to help and to teach. Write action plans to learn and apply creativity techniques continuously to your on-the-job problems. In other words, stop wishing and start converting creative intentions into actions by writing action plans. VB: In your pre-workshop questionnaire, filled out by chemists, engineers, supervisors, and managers in R&D, you found that no one mentioned vendors or customers as the biggest help in creative thinking. Did this surprise you, especially in light of all the literature about the importance of customers in the design process? Edward Glassman: Many companies look to suppliers and customers to help with creative and innovative solutions. And vendors offer to help. However, my question concerned 'the biggest help' – and customers and vendors apparently did not come to mind. Still, I am always surprised when companies do not invite their customers and vendors to creativity events, or even ask for help on an informal basis. In my book, I describe a Creativity – and Innovation – Meeting in which a large corporation invited people from their largest customer to attend so they all could solve mutual problems creatively using the techniques I taught them. VB: When discussing self-motivating catalysts you say you are more creative and productive if you read and write in bed as soon as you wake up, before interacting with people. How did you discover this helped to stimulate your creative juices, and do you know why it does? Edward Glassman: I just found it to be true through experience, and I am glad I did. It works because I am not distracted and my mind is clear when I first awaken. I also get unexpected ideas when I am in the shower and when I work out on the treadmill in the fitness center. Who knew? VB: "I wrote the first draft of this book, and many subsequent added sections, using automatic writing." Would you explain how this creative thinking procedure made you more creative? Edward Glassman: I do not usually write easily. I evaluate each word, each sentence. Evaluation bogs me down too soon. By following the structured rules of automatic writing, I free myself from evaluation and write bizarre, unexpected, and unorthodox things. Later, I evaluate and incorporate unexpected thoughts into the text. This worked well once I learned how to use it. I describe this technique in detail in my book. VB: Would you talk about the proudest moment, or some of the things you are proudest of accomplishing, in your career? Edward Glassman: There are many proud moments. Some of the things I am proudest of are the Creativity – and Innovation – Meetings that I led. They helped the people who attended and the companies for which I consulted. I am proud of my creativity books, newspaper columns, and articles. I am also proud to have shared creativity techniques and my thinking with so many people. Unexpected. VB: You discuss 'Low' and 'High Conformers' in corporations. What are the effects of low and high conformity tendencies on creativity and innovation and how important are they to the success of an organization? Edward Glassman: Low Conformers want to do things differently, while High Conformers want to maintain the status quo or do things just a little better. Low Conformers live outside the box on the fringes and tend to suggest highly unorthodox solutions to problems, while High Conformers suggest orthodox, within the box, solutions. Low Conformers are high risk takers, while High conformers strive to avoid risk. That's a big difference. Both types are important to the organization. Low Conformers shake things up and counter complacency, while High Conformers provide the glue that holds the organization together. Bridgers inhabit the middle ground and fill the gap between Low and High Conformers. Managers are usually Bridgers. All types are very important for creativity and innovation, and can determine the success of various developmental efforts. I ask the question, can you guess what type you are, not the type you want to be? In my book, I describe the three types, indicate how each can be identified, and what their essential contributions are to the success of the organization. Very important. Author Ed Glassman provides a lot of sound advice on how we can become more creative, and describes many useful ways to increase our creativity. We inhibit spontaneity and repress our wit and humor. The quick fix depends on accepting the first adequate solution to a problem, thereby denying your creative ability to find a better solution. One habit based on the quick fix includes rushing to generate solutions before carefully defining the problem (or examining alternative mind funnels) to make sure you work on the right problem. You use old paradigms instead of new ones. We discourage and squelch new ideas, especially bizarre ideas. We turn the problem pyramid upside down and rush to generate solutions before extensively defining the problem and establishing a good base on which to generate ideas. Dr. Edward (Ed) Glassman was a Professor at the University of North Carolina at Chapel Hill from 1960 to 1989. He founded the 'Program For Team Excellence and Creativity' at the university. Now retired, he was the President of The Creativity College, a division of Leadership Consulting Services, Inc. and led problem-solving Creativity—and Innovation – meetings and creative thinking workshops and seminars for many large and small companies. 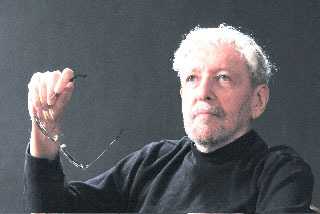 He was a 'Guggenheim Foundation Fellow' at Stanford University from 1968 to 1969, and a 'Visiting Fellow' at the Center For Creative Leadership in Greensboro, North Carolina in 1986. While living in Chapel Hill for 34 years he authored several books on creativity at work, and wrote creativity columns for a local newspaper. Ed Glassman now lives in Moore County, North Carolina, where he has written a weekly column on "Creativity At Work'' for the Citizen's News-Record and a column on "Business Creativity" for the Triangle Business Journal in Raleigh. He also wrote articles on creative thinking and on team excellence for Supervisory Management, R and D Management, Intrepreneurial Excellence, The Female Executive, Laboratory Management, Management Solutions, and The President. Edward Glassman's biography appears in Who's Who In America and Who's Who in the World. Ed Glassman is the author of Team Creativity At Work – I: You Do Want To Be More Successful Than Your Competition, Don't You? (2010), Team Creativity At Work – II: Brainstorming Isn't Enough Anymore (2010), Creativity Handbook: A Practical Guide to Shift Paradigms and Improve creative Thinking at Work (1996), The Creativity Factor: Unlocking the Potential of Your Team (1991), and For Presidents Only: Unlocking the Creative Potential of Your Management Team (1990), and numerous articles about creativity and leadership. Readers should note that Team Creativity At Work – I: You Do Want To Be More Successful Than Your Competition, Don't You? and Team Creativity At Work – II: Brainstorming Isn't Enough Anymore are both available under one publication titled Team Creativity At Work I And II (2010).